Every Halloween I see a million pet costume contests that I am tempted to participate in and never do. I am a very crafty person, but unfortunately that doesn’t translate to much in the world of sewing. One of these years I’ll buy a sewing machine and learn how to sew, but until then, I’ll just have to rely on first grader materials like tape and glue! Hey, don’t judge! 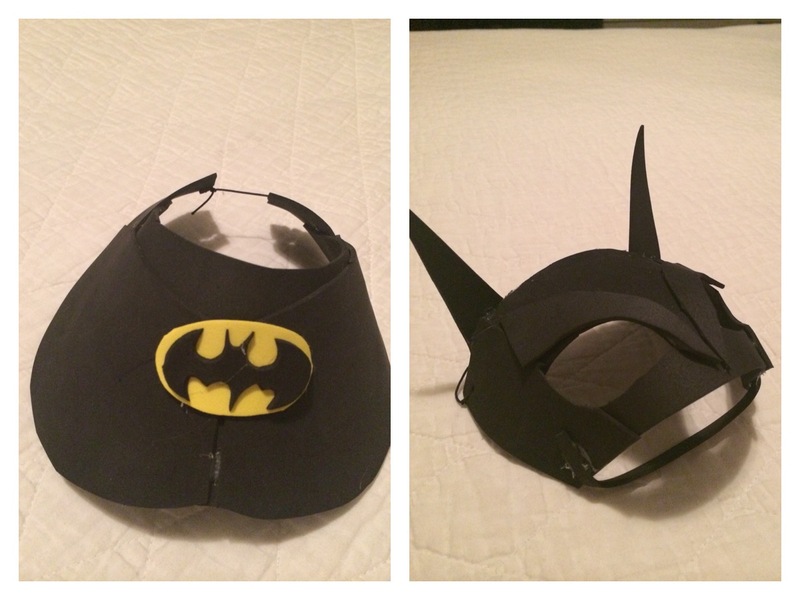 For a few years now I have admired this super duper amazing homemade Batdog pet costume worn by a “celebrity” dachshund on the internet named Crusoe and I have put some serious thought into making it, but never actually attempted it until this year. 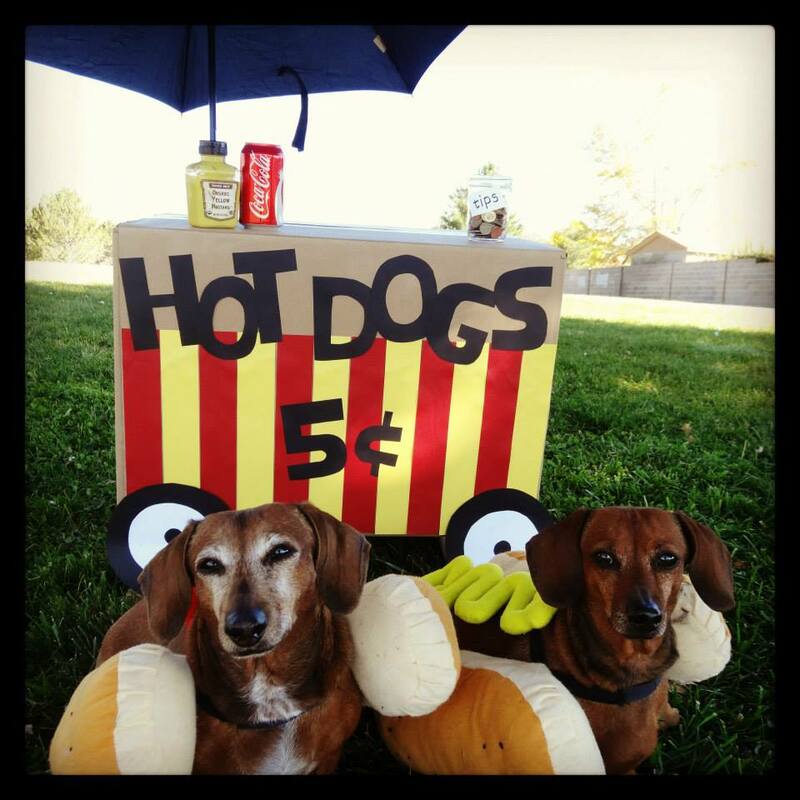 Our apartments have a Halloween pet photo contest and last year we entered it with a cute hotdog stand photo. If the contest were based on creativity, I think we would have won. But alas, it was a popularity contest and we lost… big time. This year I was determined to win, so I put my crafting skills to the test and made this! 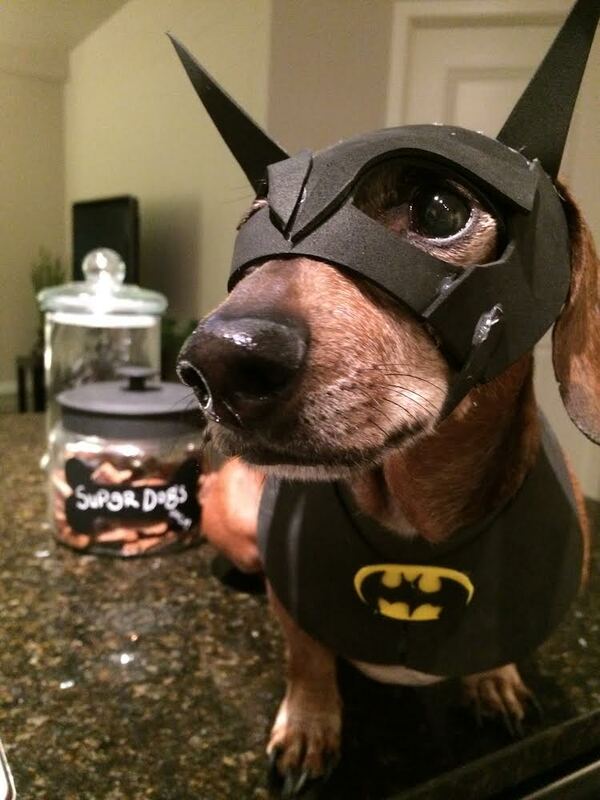 Now we just need some votes… so vote for Roxie the BatDog here! Here’s the pieces of the costume so you could see how I attempted to make it. Our photo from last year. Maybe not so original, but pretty high on the cuteness factor.